The capital of Serbia, Belgrade, has a humid subtropical climate with four seasons. Among the climate change, things you can do in Belgrade and places you should visit change, too. 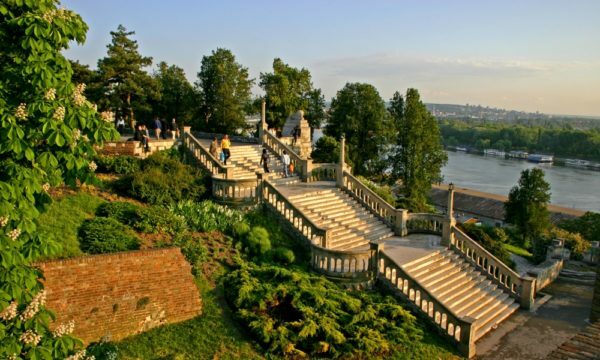 During the spring weather in Belgrade is perfect for a long walks and sightseeing. 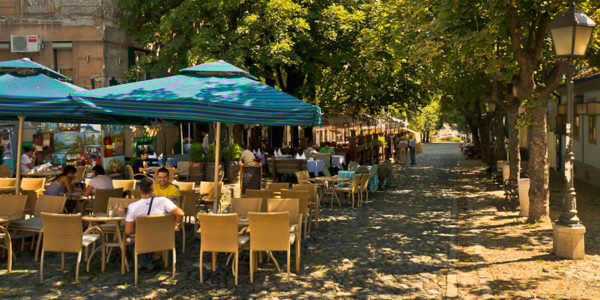 Avala, Kalemegdan fortress or our main street – Knez Mihailova, are waiting for all of you who enjoy glass of wine, coffee or a nice meal with a great view. Put your walking shoes on, and you’re up for a great adventure. To be honest – Belgrade same as other European city’s is the best to visit during the spring or summer, from the beginning of April until the end of October. Good to know if you are visiting in April – you can celebrate Easter twice! Once after Julian calendar, but after Gregorian, too, since Serbians are Christians and we celebrate Christian holidays after Gregorian calendar. The temperature in that period goes from 15 degrees Celsius to 35 degrees Celsius. It’s a city break destination, suitable for all ages and it can offer something for anyone who comes. Summer season is all about partying. Clubs on the river – splavs, are where you should be! Book a club, take your cold drinks and enjoy The New Berlin, as some people refer to Belgrade because of our rich night life. 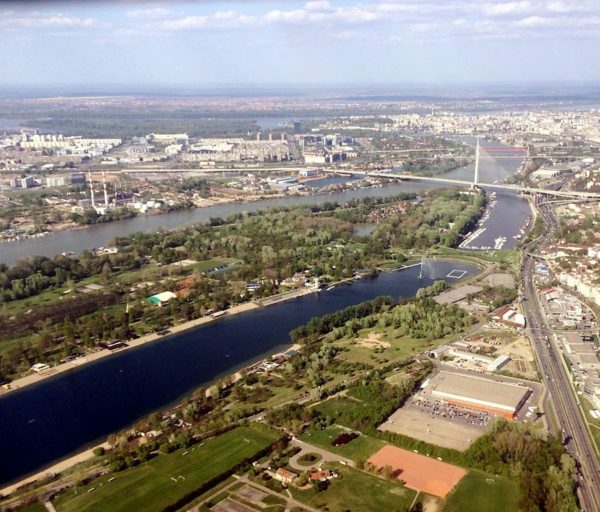 If you’re more into daily activities, Ada Ciganlija is a great place for you. Rent a bike, longboard, roller blades and you’re on! Ada has an offer for those of you who prefer something more extreme, too. You can try bungee jumping or water skiing. Or you can just relax with a cold beer or lemonade and enjoy the Sun. So, put your glasses on and bring the good energy! Ada lake is located 15 minutes away from the city center. For more info about clubs WhatsApp us on +38162337700. With colder weather, new clubs arrive, splavs are slowly closing – so autumn is your last chance to check those out if you’re into partying. Weather is still warm enough for walks. The best for that in this part of the year is Skadarlija Street, which is also known as Bohemian part of Belgrade. It is perfect for all of you who are nostalgic for old times. Autumn brings good news for all the opera and art lovers. It’s the time for National Theater in Belgrade to open their season. It’s one of the oldest buildings in our city, located at The Republique Sqaure, right at the city center. Feel the spirit of 19th century in this beautiful place. As winter really kicks in, Belgrade is full of warm up activities for New Year’s. No matter how old are you – Belgrade can offer a lot for all the ages, young and those not-so-young! Republic Square transforms into “Open Heart Square”, as the Belgrade Christmas Market officially opens. The square is all about small wooden houses presenting various local crafts. There you can find mulled wine, all sorts of candy, traditional Serbian food. What we’re famous of when it comes to food and what you can find there is definitely our pljeskavica! It’s a must try for all the meat lovers. Talking about food – make sure to try all of our specialties as sarma or ajvar. You will not regret it! Here is the list of top ten Serbian dishes you should try, make sure you don’t miss any! A special program for children is being planned each winter, including free skating schools, ice hockey and children’s shows. The city of Belgrade has a lot to offer to both indoor and outdoor skating enthusiasts. Here are the places you should try out if you’re into ice skating.